I'm already a confirmed fan of their classic whiff, having previous experience of smearing Bluebeard's shaving cream and pomade on my person. The Cuban Blend is more subtle but as one would expect from a grooming enterprise that describes their product as 'the ultimate beard oil for real men', it is most definitely a robust little number. I approve completely. It's a very pleasing aroma to wear on one's chin area. I have found that some beard oils are extremely greasy which never looks good. Shiny shoes and a glistening head of hair are more than befitting of a gentleman, but too shiny can be quite abhorrent. Take shiny suits, for example. Disgusting. 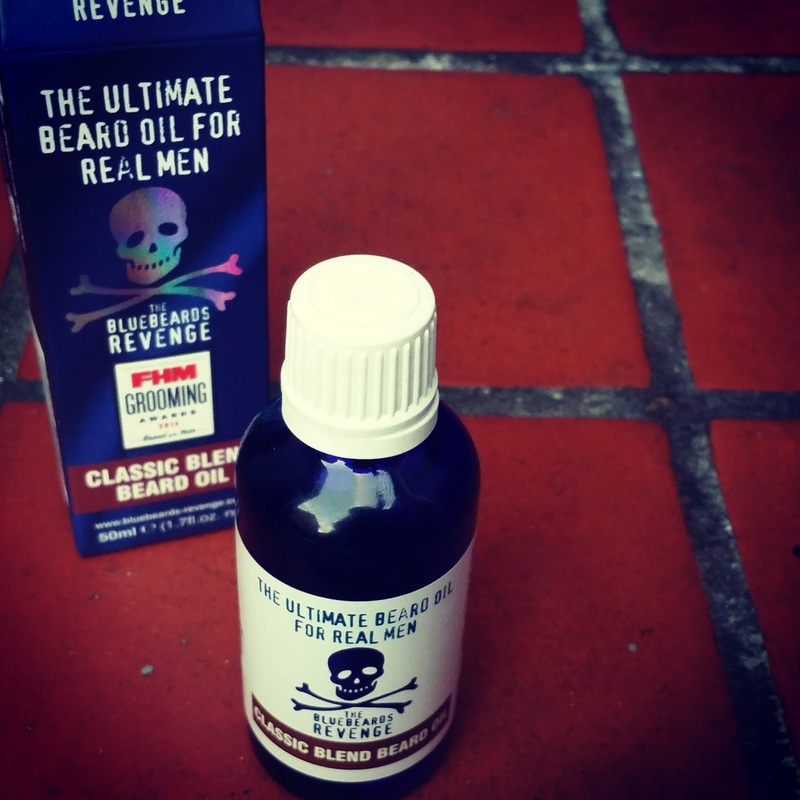 Of course, it can be all too tempting to use too much beard oil so it's always worth approaching with caution. Some beard oils do seem immediately greasy though, even after just one or two drops. 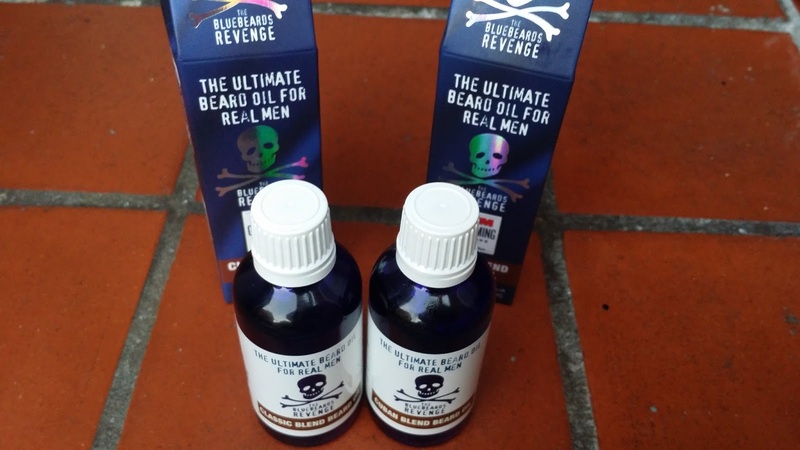 Thankfully, I'm pleased to report that both beard oils by The Bluebeards Revenge merely left my beard with a healthy looking sheen. It absorbed with ease into the chin badger too, almost as if my beard was greedily drinking the oil up. 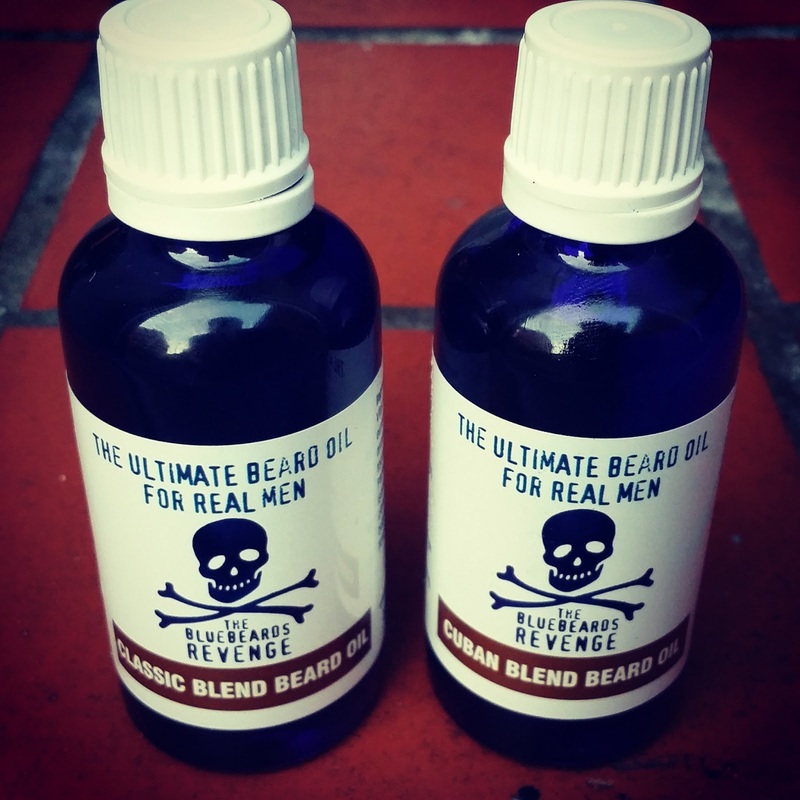 For those not well-versed in the world of beard oils, they exist to smooth, moisturise and protect beards. 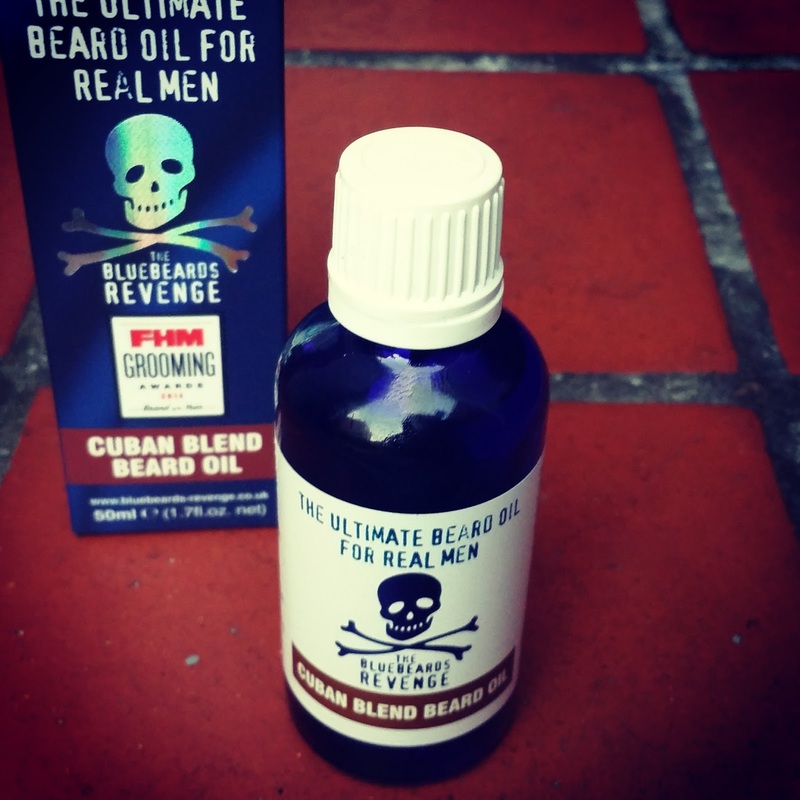 Both the Classic and Cuban oils definitely left my beard looking softer and more manageable. Of course, the real test will come during the harsher winter months to test out the protection qualities. 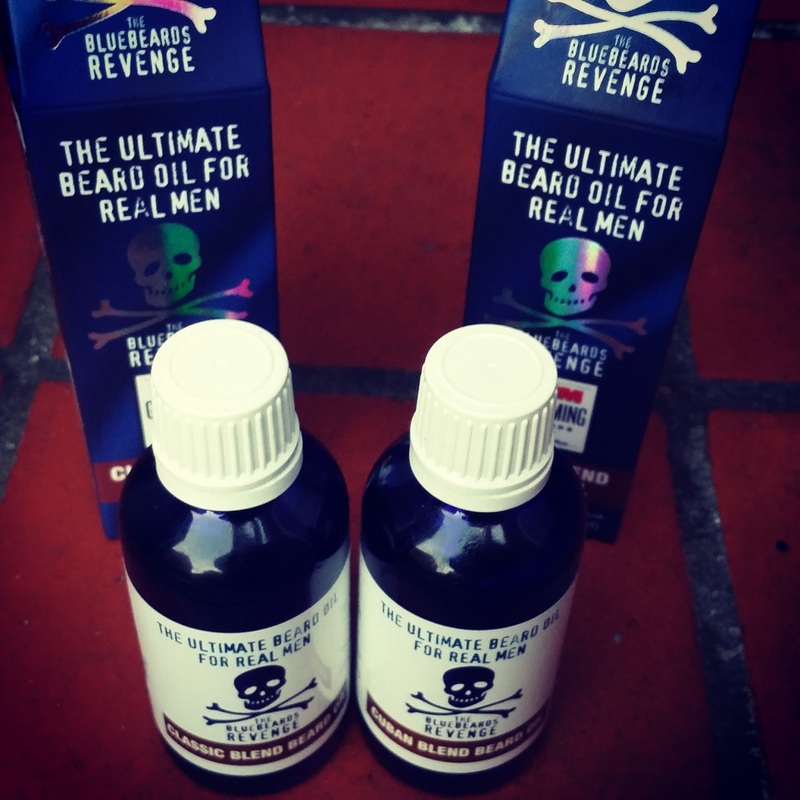 I would like to report that my beard has tripled in compliments since using The Bluebeards Revenge. The simple truth is, the chin badger doesn't receive a tenth of the attention that my handlebar moustache courted. 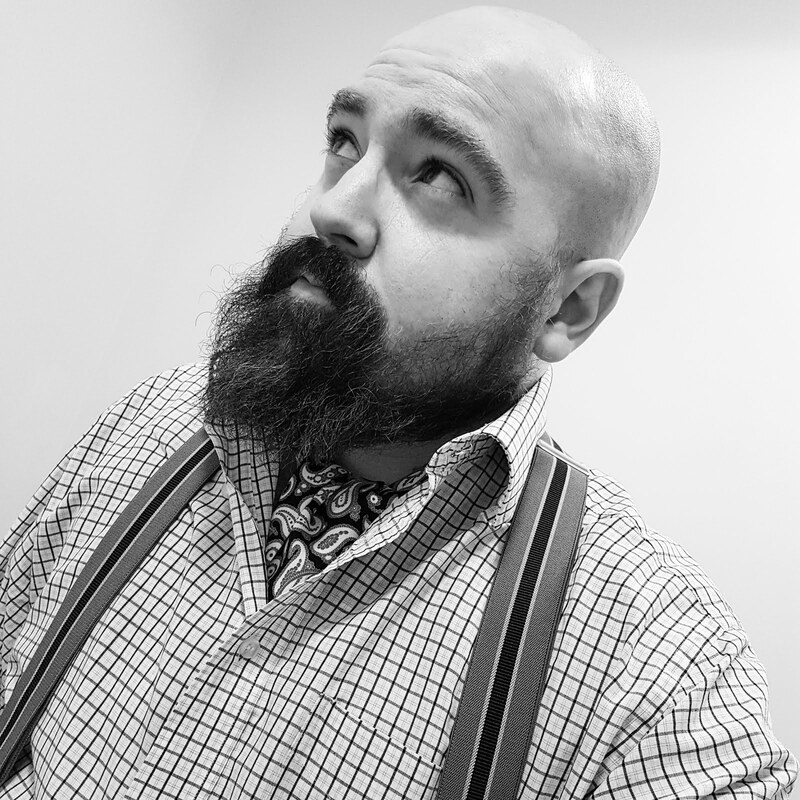 However, from a personal point of view, I've certainly noticed an improvement to my chin area and look forward to continuing to use these well-priced beard oils. They only cost a mere £9.99 for each generous 50ml bottle, which I think is super value when compared to other beard oils on the market.